From dealing with terrible tenants who are always late on rent and wrecking your property. To dodgy tradies, over charging you for botched renovations and maintenance jobs. Being a property investor and landlord can have it’s own challenges. Property management is not an easy job. And trying manage your rental investments, should be done by a professional property manager that understands and can educate you on your Landlord Rights. So you don’t end up in a tribunal that could potentially hurt you financially. Our team at Hill & Viteri Property are here to provide you with a stress free real estate experience. Where you don’t have to worry about the need to organise maintenance and repairs, or where your new tenants will come from. By being an independent real estate and property management agency. We have developed a realty business system that puts the customer at the core of all our dealings. Because our customers come first and their success is our success, we thrive on achieving best results and going above and beyond all expectations. Give us a call now on (02) 9545-2220 and let us show you why customers of Hill & Viteri continue to build positive property portfolios in the Sutherland Shire region and do business with us. No time to talk now? Then simply fill out our contact form here and our team will get back to you at a more suitable time. There is no if’s or but’s here on this one. A professional property management team is your one stop shop for your rental investment, and should not be overlooked. Knowing where you stand legally is a good practice in any aspect of business. And as renting out investment properties is essentially your business. One would want to make sure they are covered. The benefit here is minimal vacancy rates, as Blue Chip companies are known to agree on fixed leases of up to and over 60 month terms. Blue Chip companies will rent out your property generally for their executive staff and families. Always keeping your investment property clean and looking modern, is a sure way to get a higher yield on your return. Tenants that lead professional & busy lifestyles, appreciate a fresh and modern home to come back to after a hard day’s work. And they are most likely to stay longer due to the appeal. Doing property management DIY is not encouraged. Unless you are thinking of doing it as a full time job. Only to get stuck with all the headaches and challenges. Firstly you have to do administrative and business tasks such as setting up your own policies and business hours. Secondly you must be highly organised and be able to respond to tenant emergencies. And not only will you have to do all the accounting and finances, you will have to interview and screen tenants and outsource maintenance repairs. These point are just the tip of the iceberg when it comes to trying to do property management DIY. That is why it is best to select a property management agency that can provide you with a stress free environment and manage your investment property needs. 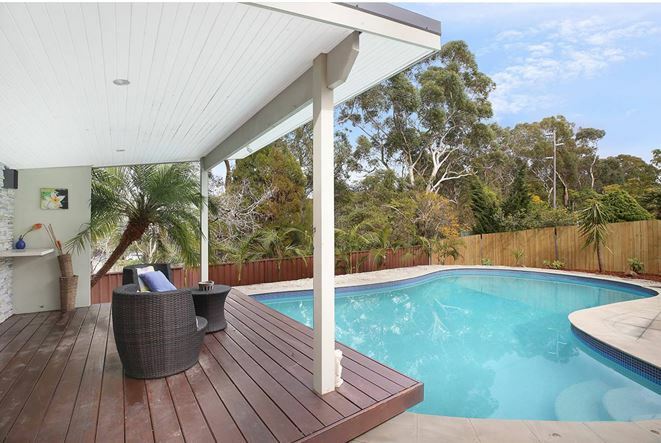 Get in touch with us now at Hill & Viteri Property on (02) 9545-2220. Or fill out our contact form here. Our staff are here to help you to achieve the best outcomes when it comes to your property investments.